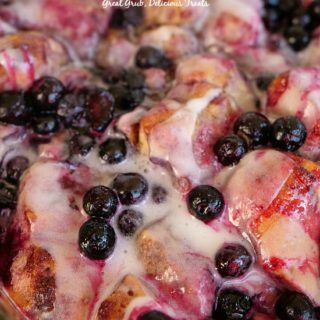 Want a great dessert bursting with the awesome flavor of a ton of blueberries, well not a ton, but lots of plump little bits of goodness? 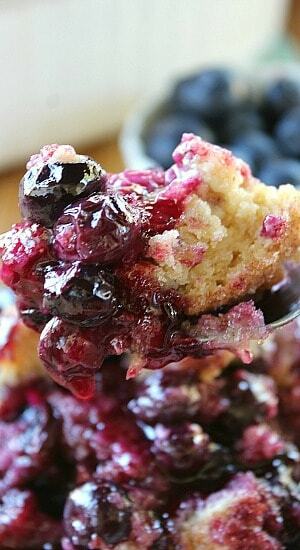 This blueberry cobbler is super simply to make and in no time you too can be enjoying this fabulous sweet dessert. 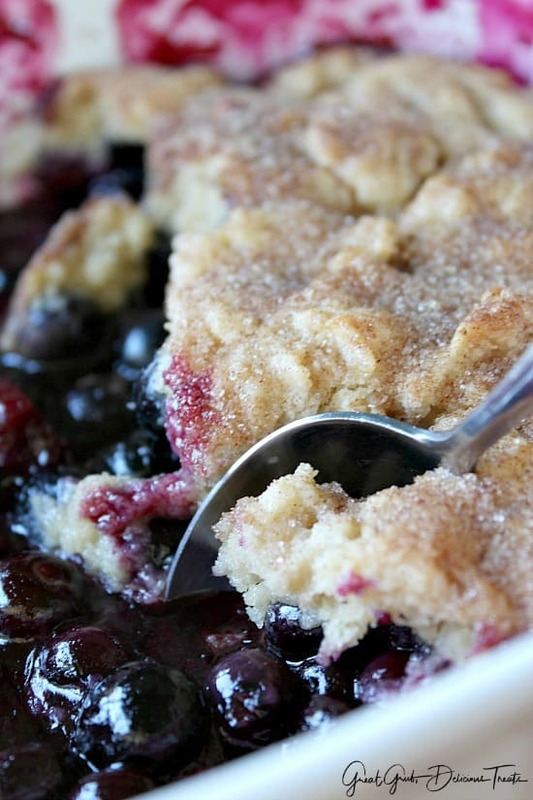 The smell that surrounds the kitchen as this cobbler is baking is heaven! 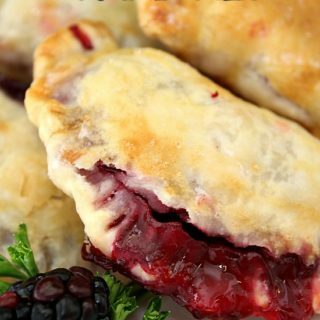 With making cobblers, one basic recipe can be used over and over with different types of fruit. 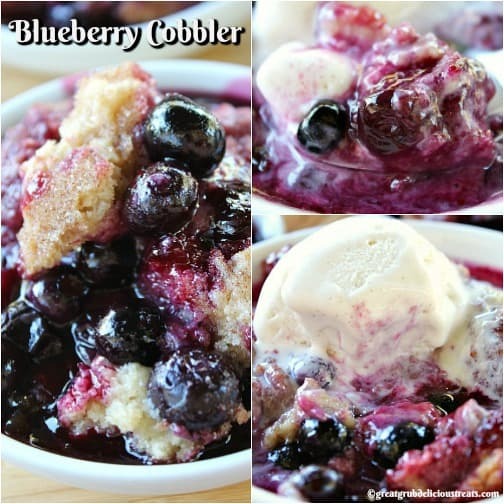 As seen in these pics, this blueberry cobbler is loaded with blueberries and the topping is delicious. Basically, it’s the same recipe that I use for my fresh peach cobbler with a few slight adjustments. Last week I had to take my CPR renewal class for my job, so afterwards, Eric (one of our amazing Social Workers) and I decided to do a little shopping at Trader Joe’s®, one of my all time favorite places to shop for fresh, organic, healthy food. Anyways, I saw these amazing looking blueberries and knew exactly what I was going to make. 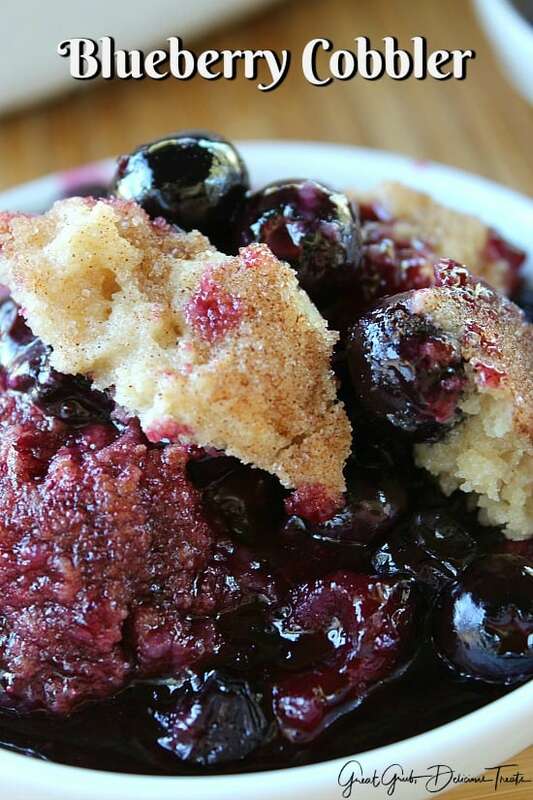 There are 6 cups of these plump little gems in this cobbler. 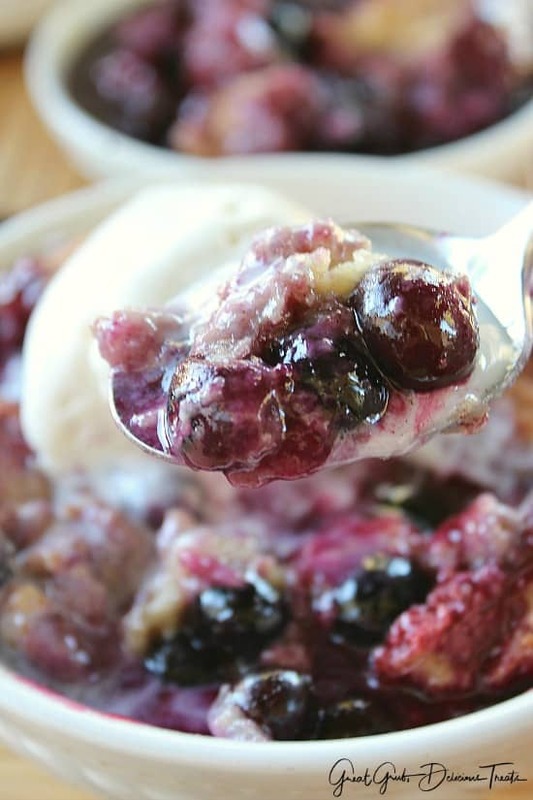 Once this blueberry cobbler is pulled from the oven and has had a few minutes to cool, add some into a bowl and add a nice big scoop of vanilla ice cream for an even more delicious treat. Totally an awesome dessert that everyone will love. 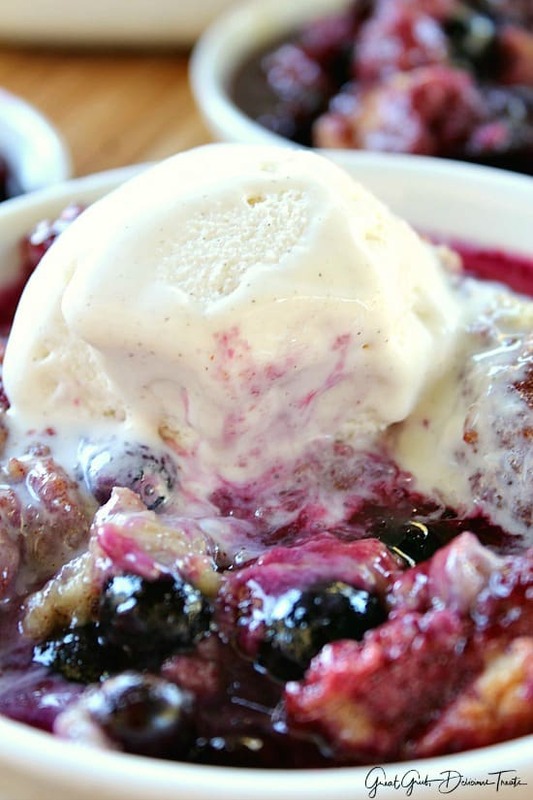 There’s just something about a fruit cobbler with vanilla ice cream on top. Oh man, I am going to go heat up a bowl after I finish this post. I’m getting a sweet tooth craving for more of this deliciousness. Just look at that bite. I know the picture is a bit blurry, it was difficult to get good pics on this day of shooting because the wind was ridiculous. I take all my food pics on my porch. It’s awesome until the wind starts blowing. Living in Southern California has its perks… good weather all year round usually. 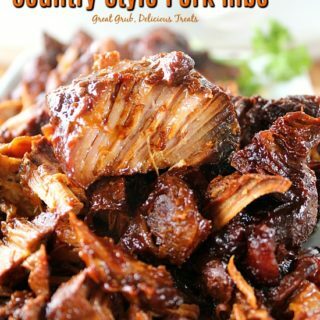 Anyway, can you imagine how tasty this would be? Well, in no time this could be baking in your oven for you and your family to enjoy! So tasty! Blueberries, and anything blueberry, are my absolute favorite. 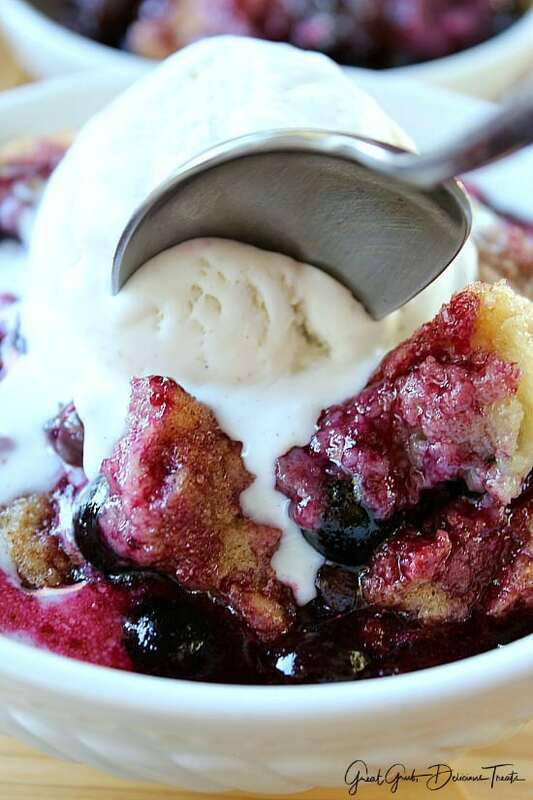 We hope you enjoy this delicious blueberry cobbler as much as we do! 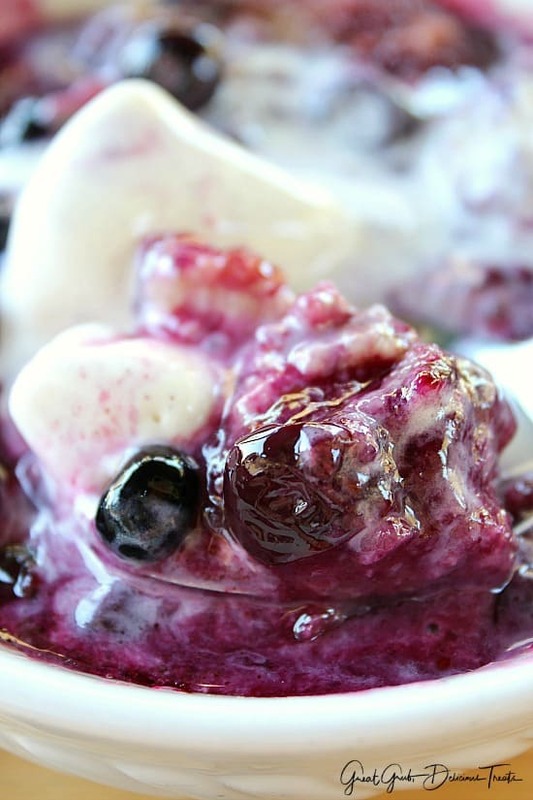 Rinse blueberries and place in large mixing bowl. 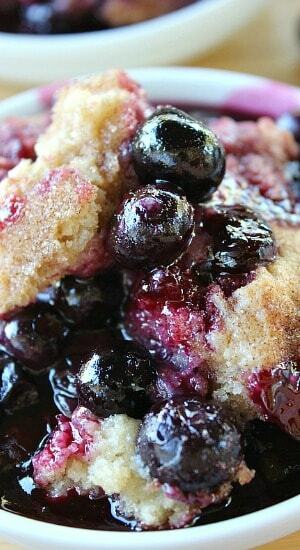 Sprinkle sugar, brown sugar, lemon juice, corn starch and cinnamon over blueberries and stir gently. Let sit for 5 minutes then stir again. Pour blueberries into an oval 2.5 - 3 quart bowl. Spoon mixture over blueberries and spread gently making sure to cover the blueberries. Bake uncovered for 40-45 minutes or until topping is cooked thoroughly and has started to brown. This looks so good!! 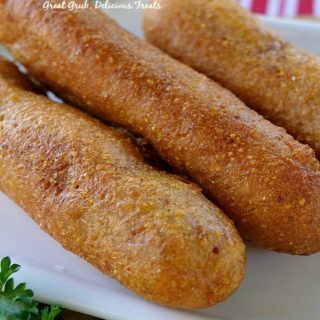 I may have missed it, but what size/type dish does this bake in? I’m guessing a casserole dish? 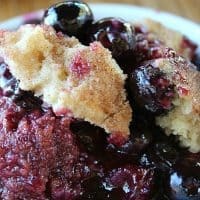 The smell of this blueberry cobbler must be intoxicating! Your photos are stunning and the cobbler looks absolutely AMAZING!! Pinning. 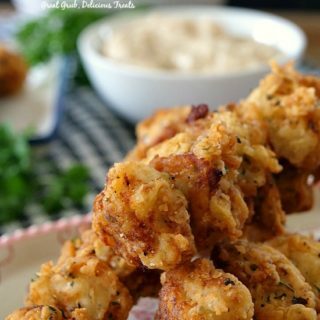 This recipe looks delicious and I can’t wait to try it. 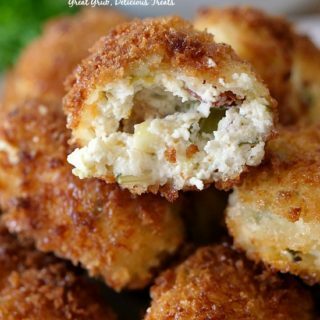 How many people do you estimate this recipe serves?